CSM Corporation has named Chris Fodor chief financial officer for the real estate development and management company. Through her leadership in this position, Ms. Fodor directs all financial accounting, analysis and decision reporting of financial systems, as well as major systems implementations and risk management programming for the growing company. CSM Corporation has named Chris Fodor chief financial officer for the real estate development and management company. Through her leadership in this position, Ms. Fodor directs all financial accounting, analysis and decision reporting of financial systems, as well as major systems implementations and risk management programming for the growing company. Gary Holmes, Founding President and CEO for CSM Corporation, made the announcement. An extraordinary and dynamic professional, Chris Fodor’s promotion places her in superb company at CSM Corporation, which has a number of women executives in senior management positions – a somewhat unique occurrence within the hospitality industry. Ms. Fodor was previously the highly successful vice president & chief accounting officer for CSM Corporation. During her tenure with the company, she assiduously provided financial leadership and guidance, developing organization-wide systems, infrastructure and risk management solutions. Prior to joining CSM Corporation, Ms. Fodor served in the role of principle for Entero, one of Minnesota’s top IT and Finance staffing firms. She also held the title of senior director financial planning and analysis for Buffets, Inc., of Minneapolis. Earlier in her career Ms. Fodor was vice president corporate audit for American Express Financial Advisors, a position to which she was promoted after holding several successful assignments of increasing responsibility within this global company. Chris Fodor received her Bachelor’s degree in Accounting and Finance from the Carlson School of Management, University of Minnesota-Twin Cities, and her Master’s in Business Administration from the University of Saint Thomas Graduate School of Business. 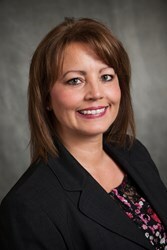 A certified public accountant, Ms. Fodor is the recipient of numerous awards of leadership excellence, including the Business and Industry Leader of the Year Award from the Minnesota Society of Certified Public Accountants, the Marriott Spirit to Serve Award for Quality Service and Customer Satisfaction, and the Finance FP&A Innovation Award for Financial Reporting. She resides in Minneapolis with her family. CSM Lodging, a division of CSM Corporation, acquires, develops and manages quality hospitality real estate investments within select markets across the United States. The company is known for their business ethos of treating their customers and associates with integrity and respect, and for their commitment to the future of the communities in which they live and work. CSM Corporation family of companies was founded in 1976. The extensive portfolio includes retail, office & industrial, multi-family residential, and hotel properties across the United States.